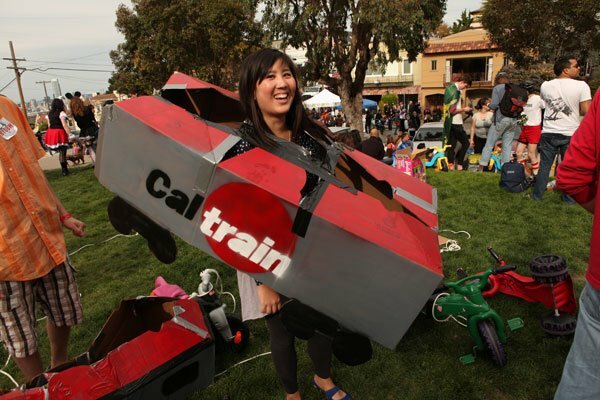 There’s something about the Bay Area and the desire to dress up in costumes. And Easter is just one more opportunity for fancy dress. 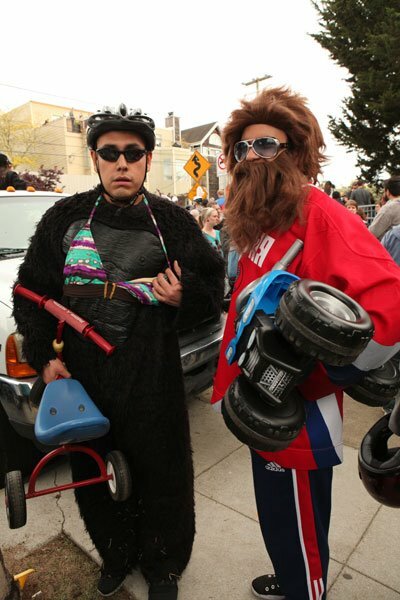 Each Easter Sunday for 12 years running, San Franciscans have donned a get-up and headed for the hill (Potrero Hill) to ride a Big Wheel or similar conveyance down the world’s curviest street (not Lombard street – that’s second curviest. It’s Vermont Street, which was designed by the same guy). 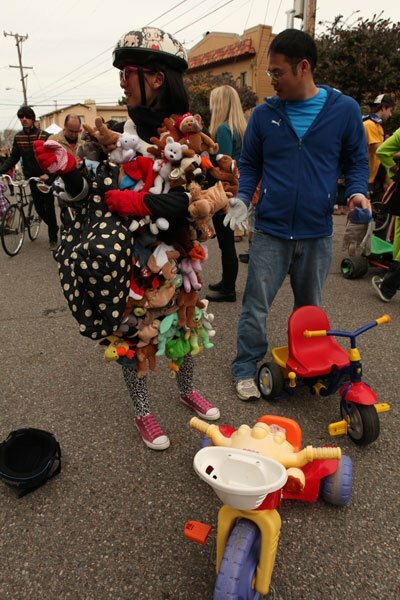 Here’s a little bit of video from this year’s Bring Your Own Big Wheel race. The only requirements to enter: three wheels, all plastic.